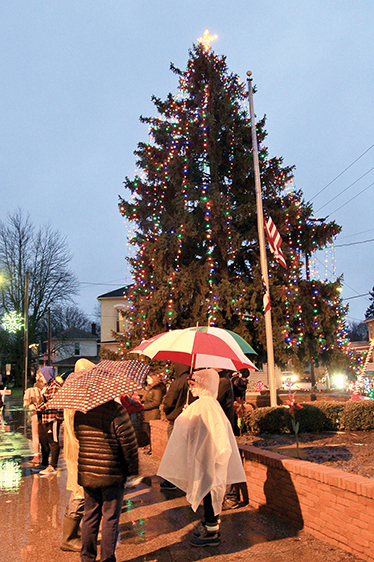 Rain didn’t keep people from turning out Dec. 1 for Christmas Under the Clock, sponsored by the Uptown Plain City Organization and area businesses. 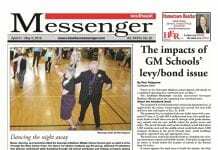 The evening event took place on Main Street, Chillicothe Street, and Jefferson Avenue. 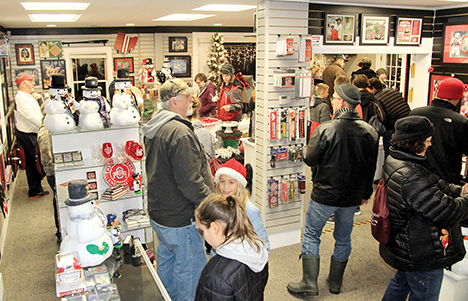 Christmas and sports made a wonderful combination as a steady flow of people stopped in to browse and enjoy treats at Hometown Huddle, a sports memorabilia store on Main Street. 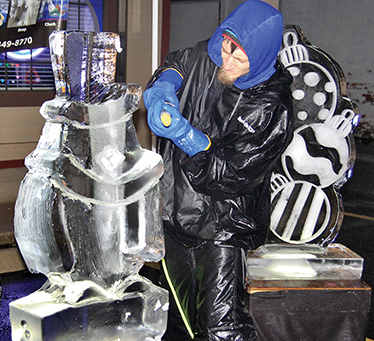 Jason Bartlett fine tunes an ice sculpture on display at Lovejoy’s Plaza. 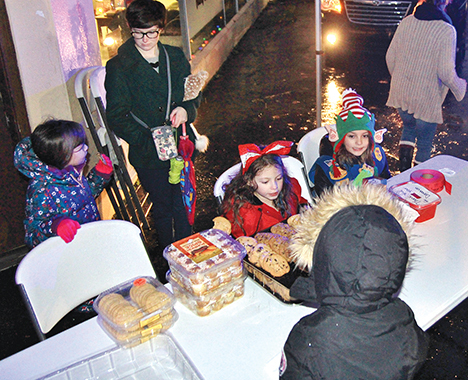 Members of Daisy Troop 4943 of the Girl Scouts passed out cookies, raised money and collected toys for children in need during Christmas Under the Clock: (at the table, from left) Davann Campbell, Lily Schwenke and Jordan Tankersley, all 6 years old. 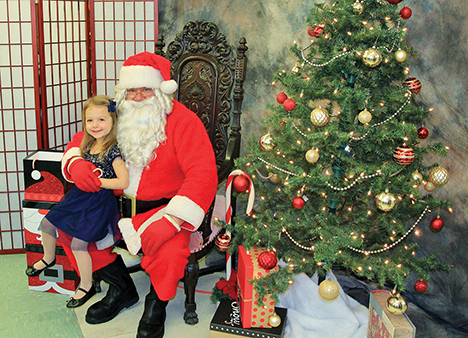 Lily Garwood, 3, enjoys the best visit ever to Yoder’s True Value Hardware where, as part of Plain City’s Christmas Under the Clock celebration, she got a chance to see Santa. 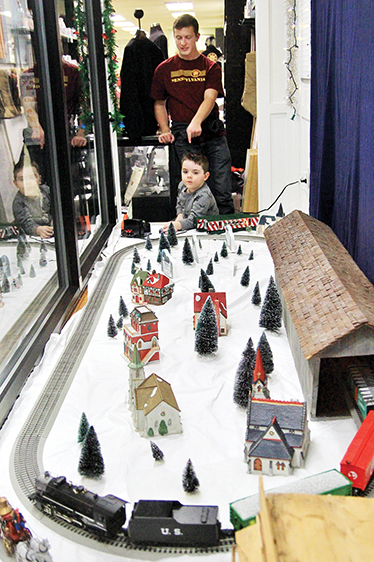 Garrett Monnin looks on as 4-year-old conductor Sawyer Prather of Plain City takes the controls of the holiday train display in the window of the Plain City Historical Society headquarters. 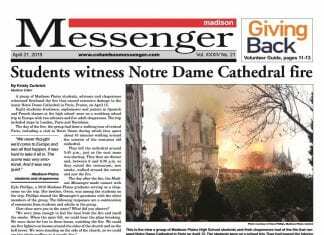 Rain brought out umbrellas at Christmas Under The Clock. 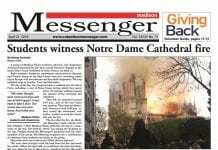 This marked the 17th year for the holiday celebration. 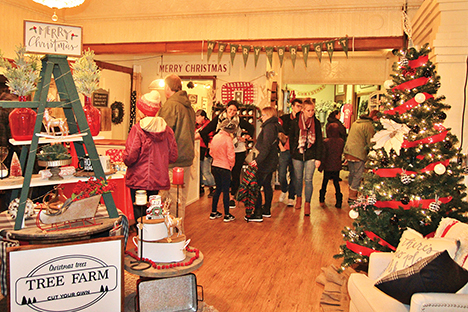 Willow & Twine Home Decor and Interior Design was open to visitors during Plain City’s Christmas Under The Clock. 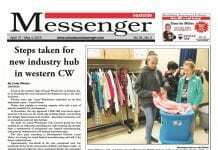 Store owners offered up cookies and coffee, as well as a drawing for a $50 gift certificate. 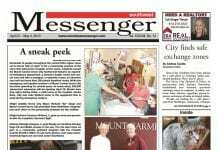 Many Plain City businesses were decorated and open for the annual event. 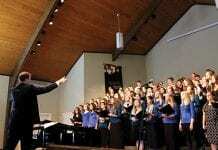 Plain City’s Christmas Under The Clock celebration stretched from the clock uptown to businesses on U.S. Route 42. 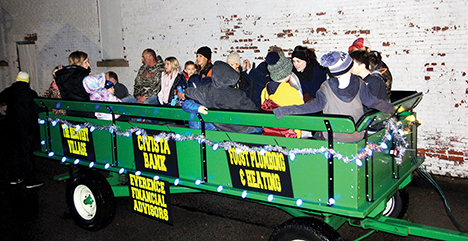 Wagon rides made for a fun way to see the lights and get to and from the various activities.